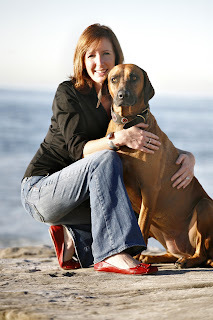 This is a guest post written by Tracie Berger, mom of rescue dogs Nina and Kona. In the last two years, I’ve taken a serious interest into what goes into both human and canine food, and unfortunately I have learned that the pet food industry can be just as deceptive as the human food industry. Even the most expensive, so called “holistic” brands are not what they say they are. More than half the ingredients on some dog food labels are “code” for unhealthy fillers. “Dried beet pulp” sounds like a vegetable, right? Wrong. It is a byproduct resulting from the extraction of simple sugars in the manufacture of table sugar. Many pet food companies are subsidiaries of human food companies, pumping leftovers and byproducts from our food into our pets’ food to minimize their waste. 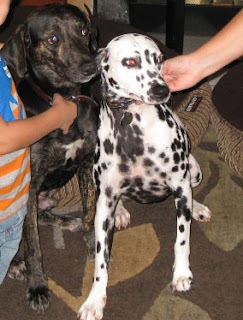 Nina, Kona and I took a temporary reprieve from “sit” and “stay” in our obedience class last week to talk with the trainers regarding some rather scary facts about what we’re actually feeding our beloved pets. Thank goodness we did, because they opened our eyes to a wonderful company called The Honest Kitchen, operating right in my hometown of San Diego and truly the most “honest” pet food company I’ve ever come in contact with. 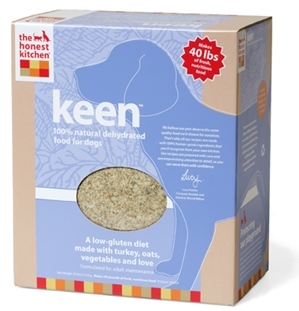 Among my pups’ favorite products from The Honest Kitchen is “Keen”, a low–gluten dehydrated dog food featuring hormone-free USDA turkey, organic oats, potatoes, carrots, apples and honey. Now, at first glance, dehydrated dog food can be a bit strange, but trust me… add the water and watch the very obvious ingredients come to life! What a concept – actually serving a dog food that I would eat too! I didn’t get the bowl to the ground before Nina and Kona were jumping up on me to bask in the smell of the new sensation. Another great product from The Honest Kitchen are “Pecks,” hand-made, bite-sized buffalo and blueberry cookies. I use these tiny treats during our training class, they fit perfectly in my pocket and my stubborn Nina REALLY pays attention to my commands when Pecks are the reward! “Pecks” consist of 100% human grade barley flour, filtered water, molasses, buffalo, organic coconut oil and blueberries and they contain no artificial preservatives, flavors or colors. My favorite product from The Honest Kitchen are the versatile “Ice Pups.” They can be served three ways – as a warm, nourishing broth, a cool beverage, or as frozen treats! “Ice Pups” are made from dehydrated chicken, turkey, whey, dandelion, asparagus, watercress, honey and parsley. I bought an ice tray, poured the liquid into it and have some “Ice Pups” freezing as we speak. It should be very entertaining to watch Nina and Kona enjoy them! I’ve even heard cats are a fan of the “Ice Pups” too! Bottom line is, I want my pets to eat a grain-free, whole food diet that I believe will enrich their lives and keep them with me as long as possible, and The Honest Kitchen’s products are truly that – honest. The Honest Kitchen’s website is a wealth of information about their wonderful product line, amazing ingredients and sincere commitment to people, pets and the earth. I am now a fan and customer of theirs for life.